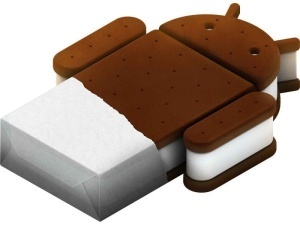 Google has released the source code for its tastily titled Ice Cream Sandwich release of Android 4.0, enabling manufacturers to begin to customize it for their handsets. This is also the first version released that is optimized for both tablets and smartphones. In an announcement Monday evening, Google software engineer Jean-Baptiste Queru said on the Android Google Group that the code released is actually Android 4.0.1, the same as the version that will ship with the Samsung Galaxy Nexus handset, marked to be the first phone to launch with the new Ice Cream Sandwich OS. Google saw its fair share of criticism for not releasing the source code to Honeycomb earlier in the year, when tablets using the software became available. The holdup caused complications and delays for tablet manufacturers wanting create customized distributions for their devices at the time. "This release includes the full history of the Android source code tree, which naturally includes all the source code for the Honeycomb releases. However, since Honeycomb was a little incomplete, we want everyone to focus on Ice Cream Sandwich. So, we haven't created any tags that correspond to the Honeycomb releases (even though the changes are present in the history)," Queru said. The search giant stated the delay was primarily because they wanted it to work with smartphones before it was available publicly. Whether this is the sole reason or not, the code is now available for public viewing. With an event planned for tomorrow, many are suggesting the release of the Galaxy Nexus is imminent -- it was originally scheduled for early November after all. Yesterday the giant also revealed details of a competition to give away 10 Galaxy Nexus smartphones on Twitter.